Andy is his name. Kindness is his game. Those statements are so true and this t-shirt confirms it. 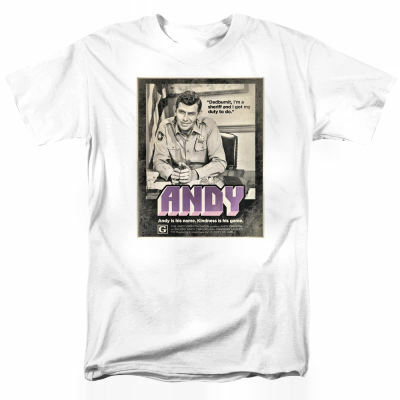 You're going to love wearing this t-shirt featuring Andy sitting behind the desk at the Mayberry Courthouse. Click the link below to zoom in on the t-shirt image.